The next 20 years will see the largest global population boom in modern recorded history. The United Nations reports a population expansion of an additional 2.4 billion people (reaching 8.4 billion total) between 2015 and 2030. And 1.3 billion of this population surge will happen on the African continent. What’s more, the UN report continues (p. 3), growth in Africa will reach 25 percent of the world’s total population in 2050—forecasted to a massive 39 percent of Earth’s inhabitants by 2100. While groups such as KickStart International tackle the problems of feeding this future population, other organizations are taking on the challenge of housing. Realizing the need for local solutions to what are essentially continent-wide problems, MASS Design Group and The Nubian Vault Association train architects and masons, respectively, with skills using local materials and time-tested methods. “To design effectively, you have to first immerse yourself in the environment, the context, and the community you will be building in,” says Christian Benimana, MASS Design Group’s Rwanda programs director at the African Design Centre (ADC). In addition to implementing the MASS Design Group building concept, Benimana’s task is to train the architects who will inherit the challenges presented by Africa’s population boom. Learn more about Africa’s challenges. MASS Design Group’s services vary, but throughout the process, the organization aims to “collaborate with the communities our buildings will serve, approaching every project as a chance to invest in their future,” Benimana says. Masons on a Nubian Vault building site. Courtesy Christian Lamontagne/Cosmos. Those cities and settlements, of course, will be built by the next generation of builders. 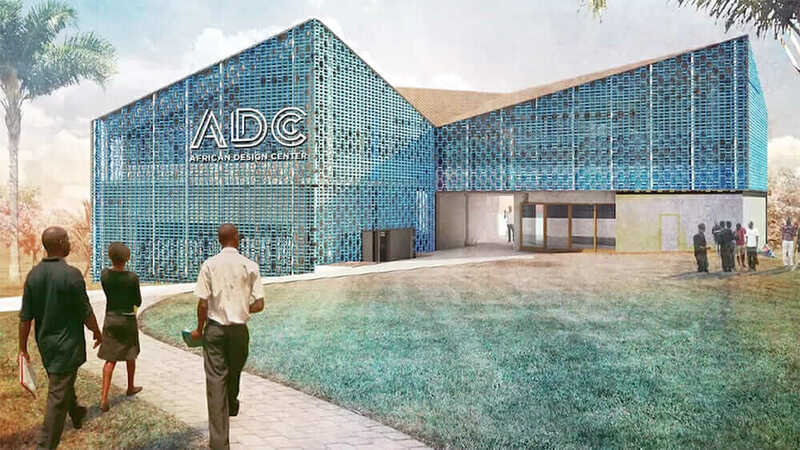 Fortunately, the ADC is on target to open its first architectural training center this fall. The MASS Design Group team has finalized the ADC 2017 curriculum, including hands-on practice designing and constructing a project in Rwanda that follows the impact-based methodology embracing “deep community engagement to post-occupancy evaluation,” Benimana says. Whereas MASS Design Group and the ADC champion modern architecture and construction methods, The Nubian Vault Association takes its cue from ancient Egyptian builders, instructing local craftsmen to manufacture homes from sustainable products and practices. The Nubian Vault (NV) technique follows a 3,000-year-old approach of timberless vault construction using only earth bricks and earth mortar. NV’s success rate is impressive. 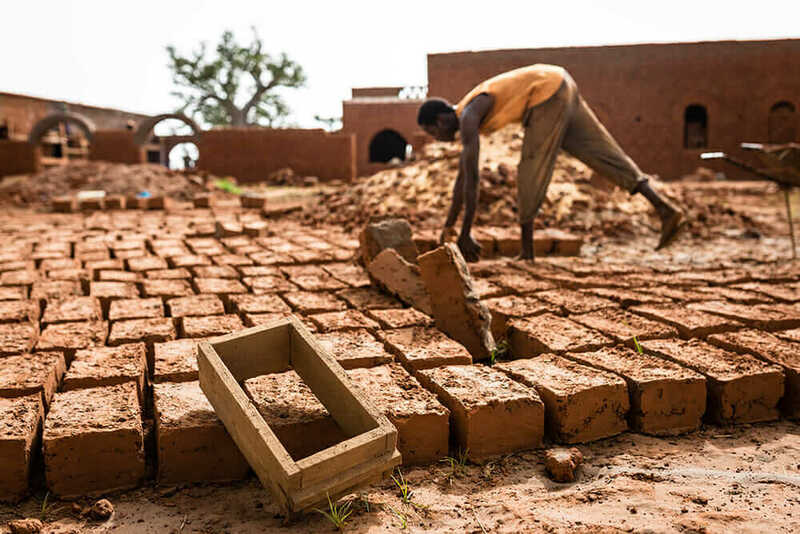 “Over 2,000 buildings—a single construction project can include multiple vaults—covering 79,000 square miles in 800 towns have been built in five countries: Burkina Faso, Mali, Senegal, Benin, and Ghana,” reports Nubian Vault development officer Amarys Preuss. Nubian Vault has trained hundreds of masons and apprentices who have, in turn, built thousands of vaults in schools, health facilities, administrative offices, and agricultural centers. 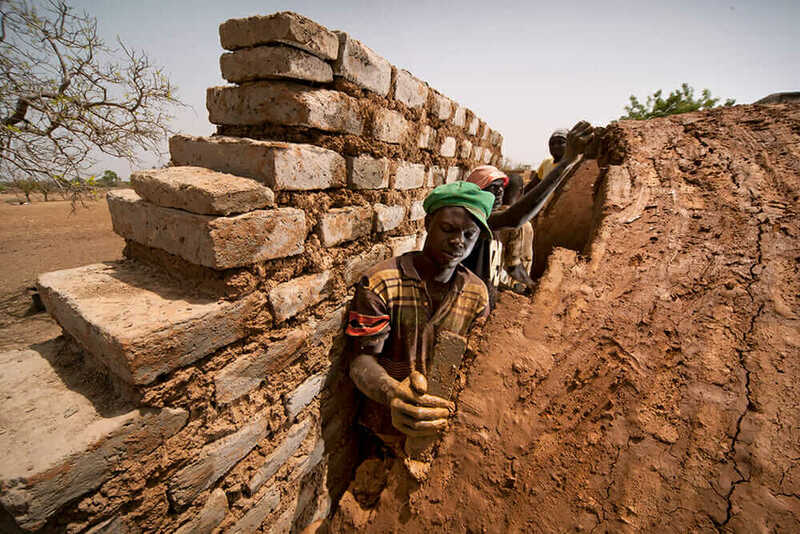 In all, 24,000 people in the Sahel region of central to West Africa are benefitting from Nubian Vault construction, which has generated €2.4 million for the local economy. This is a remarkable achievement on a continent where housing is typically made of timber (in short supply) and with tin roofs (expensive, prone to decay, nonreplenishable). The Nubian Vault design is timeless, and by using local materials and engaging community members, “the NV is a real solution for housing at the BOP”—the “Base of the Pyramid,” an economic term used to describe the poorest sector of global citizens—Preuss says. Bricks for a Nubian Vault. Courtesy Régis Binard. That transfer of knowledge lays the groundwork for the future masons who will bear the construction burden of population growth in Africa. As global governmental entities and think tanks make reports and take meetings about Africa’s coming population boom, MASS Design Group and the Nubian Vault Foundation are making a difference for Africans today—and for the entire African continent tomorrow. MASS Design Group and the Nubian Vault Foundation are Autodesk Foundation grantees, chosen for their innovative use of design and engineering to solve the world’s most pressing challenges.